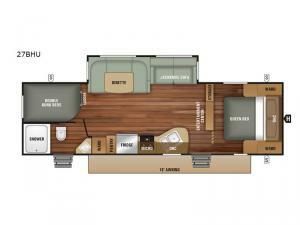 You will enjoy plenty of space for the whole gang to sleep in this Starcraft Launch Outfitter travel trailer. 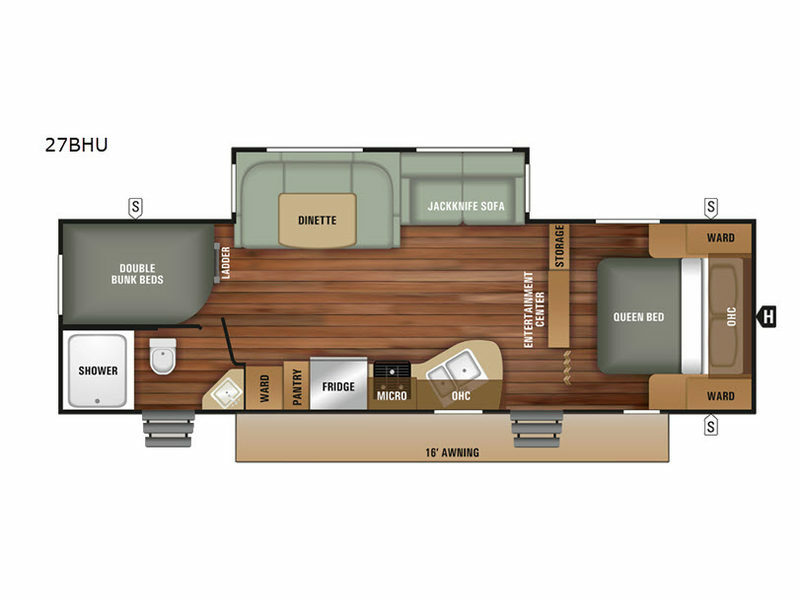 This unit easily sleeps ten with the double bunk beds, and it features a large slide out for added roominess inside. You will also enjoy the convenience of double entry doors to promote a smooth flow of traffic in and out of the unit, as well as having a direct entrance into the bathroom from outside. The U-shaped dinette is a convenient place to enjoy your meals every day, and it can also be transformed into extra sleeping space at night. Spend your evenings relaxing on the jackknife sofa in front of the entertainment center after a long day of outdoor activities.